I love ice cream, i could quite happily sit an eat entire tub of the stuff all to myself. 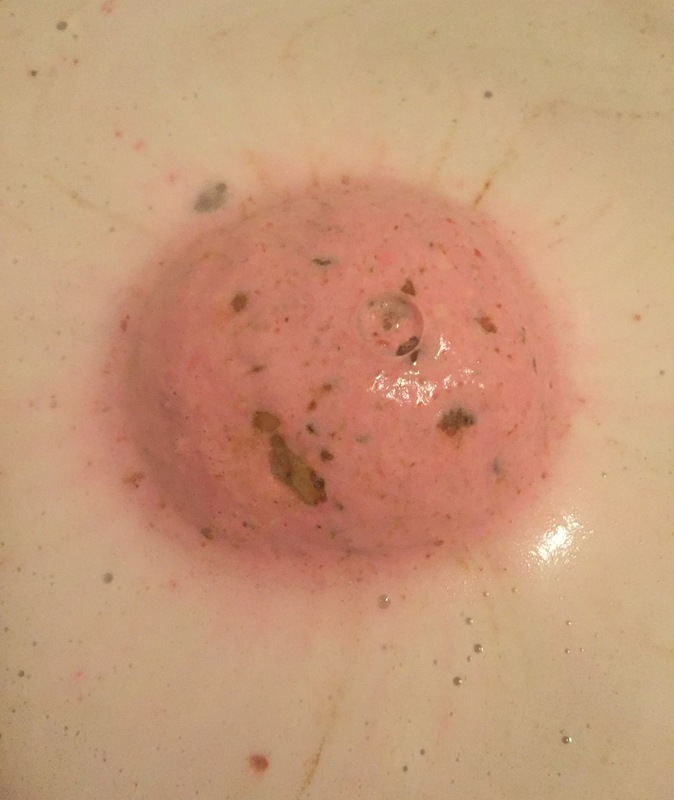 When I saw the Haagenbath bath bomb pop up in the kitchen recently, I couldn’t help but wonder if it had been inspired and named after the totally yummy Haagen -Dazs ice cream brand? Although lush don’t seem to mention this connection anywhere, it isn’t only the name that connects these two products. 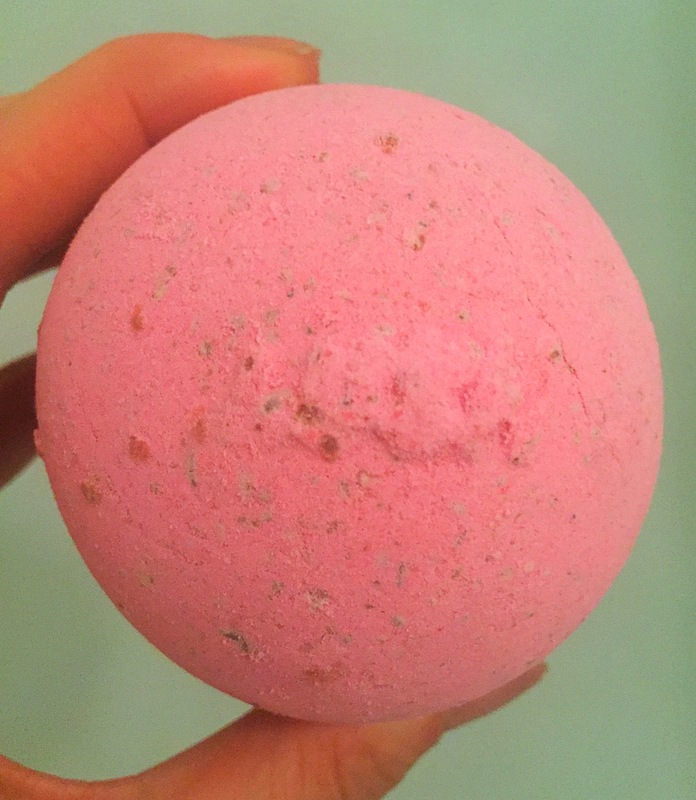 The Haagenbath bath bomb is a very pretty baby pink colour, if you look careful you will notice there there are little flecks of what look like chocolate running throughout this product. Being the size of an average lush bath bomb this product with defiantly create a very luxurious bath time. 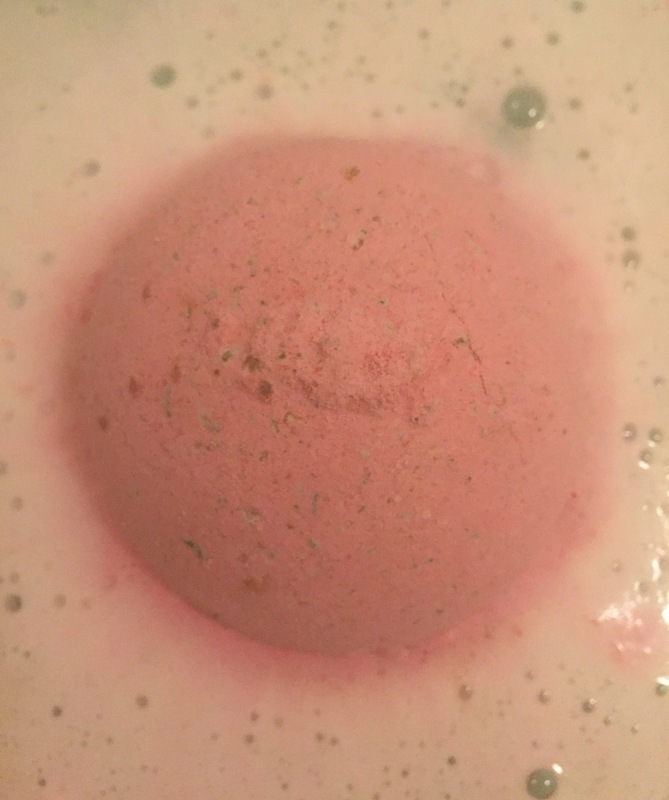 The second connection with Haagen-Dazs cream is when it comes to the scent of this bath bomb. This bath bomb has a very strong sweet minty scent, I personally think it smells a little similar to spearmint toothpastes or spearmint soft mint sweets. Mixed with a sweet chocolatey scent . These two scents together make the entire bath bomb smell like sweet chocolate chip mint ice cream!! The scent is devine and I can defiantly see why lush have named this product haagenbath, it smells so sweet and similar in scent ice cream. Once popped in the water the Haagenbath is a very very slow fizzer, making it the perfect product for when you have a little more time to spend in the tub to relax. 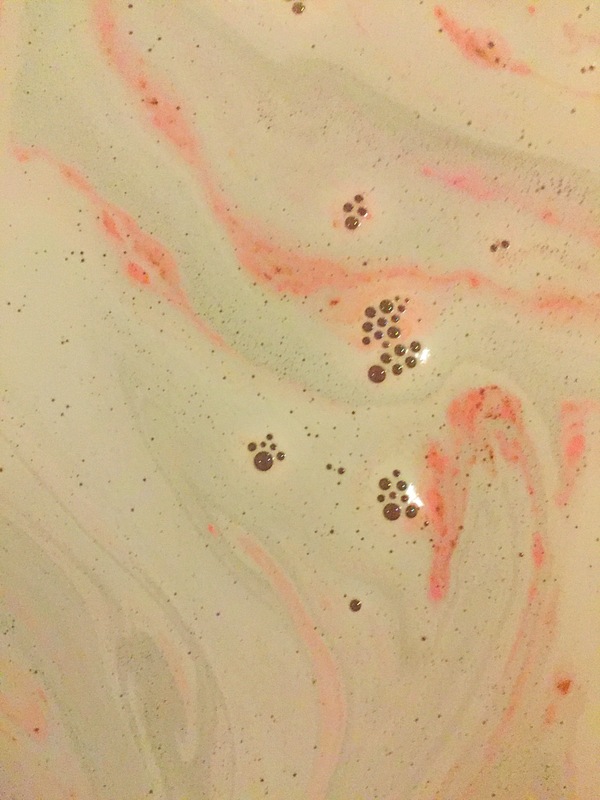 As soon as it makes contact with the water it starts to fizz away creating waves of light pink and white foam across the surface of the water, making the bath look like raspberry ripple ice cream. The bath bomb slowly spins and spins the little bits that look like chocolate which in fact are cocoa butter melt into the water. This creates an extremely moisturising foam. I found this bath bomb so moisturising in fact I didn’t even need to use any lotion after my bath. 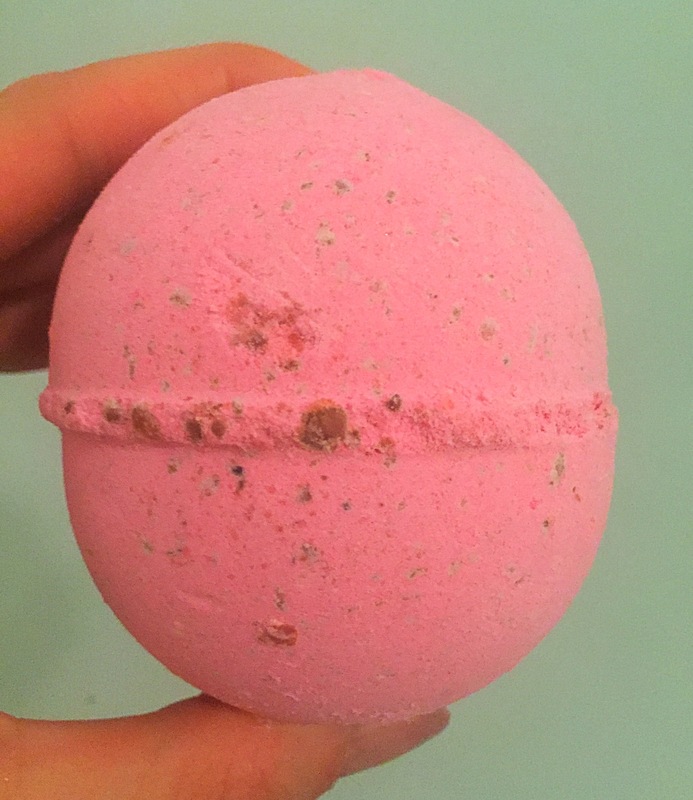 Overall I am in love with this bath bomb. The scent is so gorgeous and I could pick up on it for hours after my bath. I also loved that this was such a slow fizzer and created a very relaxing environment. If you haven’t tried one of these before I really recommend trying to get hold of one. 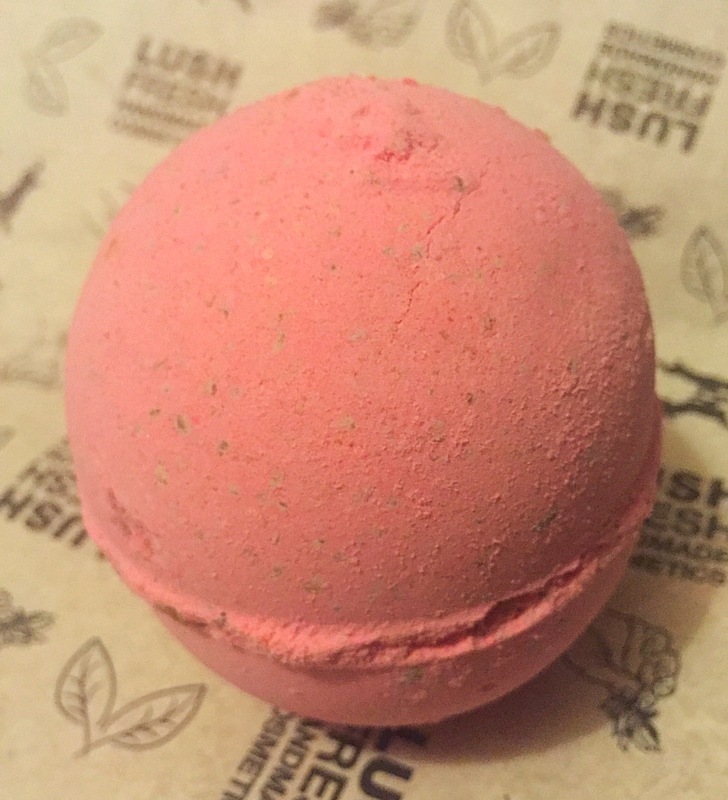 I know in defiantly going to try and pick a few more up next time that they are in the lush kitchen. Ingredients – Sodium Bicarbonate, Citric acid, Cocoa butter, Soya Milk powder, Almond Oil, Laureth 4, Perfume, Spearmint oil, Cocoa powder, Colour 77891, 18050. This looks so pretty in the water. This has reminded me I need to make Kitchen orders more often.